Building Muscle? 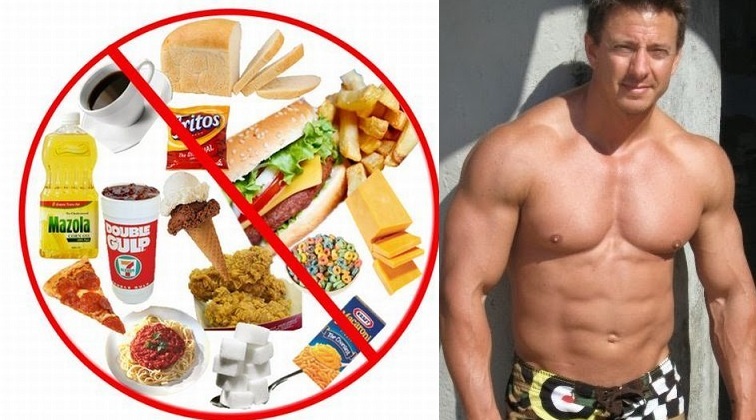 - The 7 Foods You Must Never Eat! Home Bodybilding Tips Building Muscle? – The 7 Foods You Must Never Eat! Foods that are high in fat and carbs promote high blood pressure levels, increased fat storage, decreased carbohydrate conversion, and erratic insulin levels. So what types of foods can cause these problems? Well, for starters all fried foods, sugar glazed foods such as donuts, pasta’s covered in sauces, most restaurant foods, and nearly all fast foods. Processed fruit juice is normally only 5% real juice and 95% sugar. Since when is that much sugar a good thing? And really, did you think we were going to endorse drinking sodas? These drinks pack a ton of calories without any health benefit whatsoever. It is better to fresh squeeze your own juices and drinks, or better yet, just stick to good-old-fashioned water. Yeah, let’s just jack our insulin levels up real bad. When your insulin levels spike you get hungry, and when you get hungry, you eat more calories than necessary… generally, processed foods which make you even hungrier. How about we just stay away from candy as much as possible? Now, this is one that is abused a lot. Everyone thinks because the word “oatmeal” is included that it is healthy… yeah right! It has so much sugar in, so there goes your insulin level yet again. It has a ton of salt which is great for your hypertension levels. Synthetic oils which are really a melted plastic… seriously, just heat up your vegetable oil and then let it cool on its own somewhere. The oil turns hard; do you really want that in your body?